Lucina was created in 1981 in the Czech Republic, in a 100 g format that has now become an iconic product on the Czech market. Cheese, cream, a pinch of salt and… nothing else. 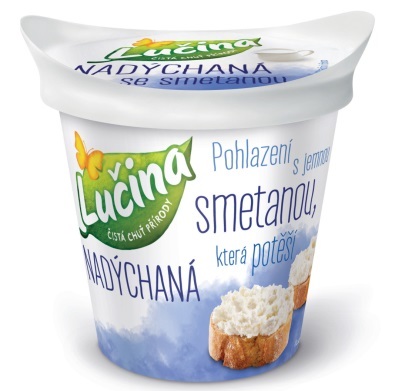 With its carefully-selected natural ingredients, Lucina is the most fresh and natural of Czech cheeses. For breakfast, as a snack or for dinner, the brand provides delicious, healthy meals at any time of day. Although you can eat Lucina from the pot with a teaspoon, it can also be used in cooking with vegetables or sauces. In diced form, it also works well in salads, where it matches the other ingredients perfectly. Lucina can also be used in desserts such as cheesecake or mixed with fruit. 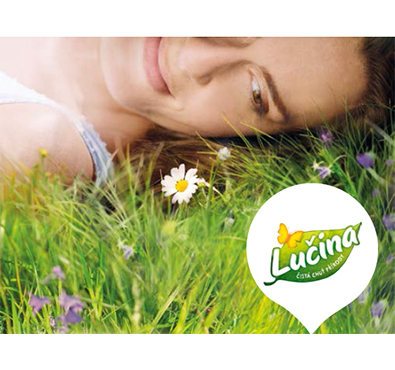 Produced with no preservatives or additives, Lucina is now available in a range of formats for any occasion: with chives, ham, garlic and fine herbs, with yoghurt, in a light version, and even for children, with a specially-devised recipe that provides an even creamier, flavour-filled taste. Manufactured in Poland, this new 100% natural whipped cheese specialty, with its light airy texture, continues to seduce growing numbers of consumers. And to vary the pleasures, the product is available in several versions: natural, light and flavored.